This is an automated translation from a Belgium newspaper. Excuses if translation is not correct. GRIMBERGEN – You see it today, increasingly, people in our country and especially the stress of this escape to another life to build. 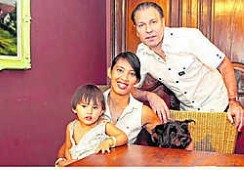 The family of Jean-Paul Nury Volckaert and moved to Indonesia where they Strombeek of guest rooms to operate.